What cheap and compact options do I have to take better photos? I'm already at 12 megapixels so clearly that's not the limiting factor. Would a dedicated compact camera (i.e. basic point and shoot) have a bigger sensor than a phone, and take better photos? What about a compact zoom type camera - I don't need the zoom, but do these have slightly better sensors than a compact? Ideally I'd get a micro four thirds type setup and be done with it, but I just don't have that kind of money at the moment. Hence looking at second hand compact or compact zoom, which are readily/cheaply available. Is it just a case of not holding the phone steady enough? I should have actually said what budget I'm working to sorry - I'm thinking sub $100 second hand - there seem to be a few point and shoots around on Trademe in this range as mobile phones have mostly made them redundant. Realistically you won’t find anything for <$100 that’ll perform much better than your phone. Senecio: Realistically you won’t find anything for <$100 that’ll perform much better than your phone. Good to see someone recognized the spot! Ah I missed this bit. You might be able to find an older model? I think the one inch sensor is a sweet spot for mountainbiking though. Fits in a pack and can be protected. I keep banging it's drum but they're up to the sixth version of the RX100 so the earlier ones might be found secondhand cheaper. Another option might be a Panasonic Lumix, they do a few different versions and there are probably some used ones that have dropped in price. Yep one of my favourite spots to go and ride. Just had a look at Lumix on Trademe - heaps available and seem to have decent lenses (for a compact). Still relatively small sensors, but that's probably a feature of my budget. 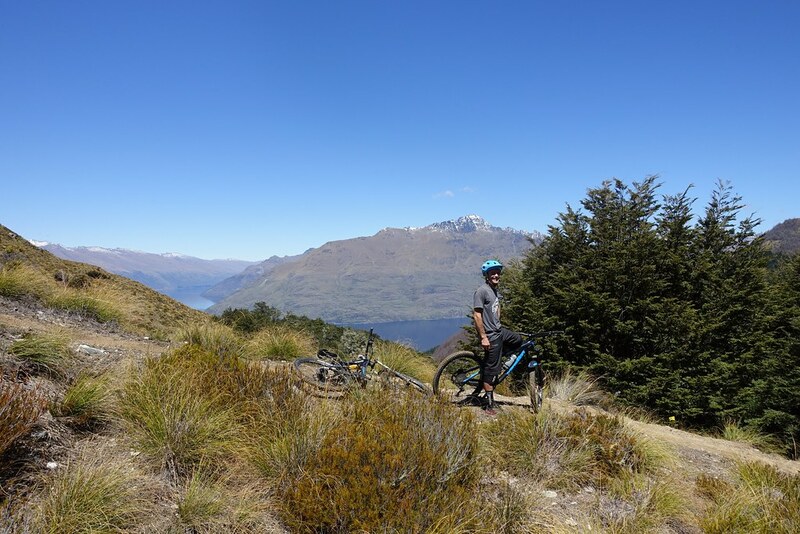 I want to ride it next time and over to Moke Lake - the descent from Ben Lomond Saddle to Moke Creek looked like an amazing ride when I hiked it last. How about getting a cheap second-hand mirrorless and a wide-angle lens? Surely eBay or Trademe would have something for you in the $150-300 range? I'm talking old and maybe a little scarred, but quality, here. Compact? Would be a 1 inch sized sensor like the Sony RX100's or the cheaper Canon G7X or G9X the G7x is better in aperture but for landscapes might not be an issue. ILC smallest would be maybe the Olympus OMD M10 with a wide lens? Panasonic / Leica also makes a M4/3 builtin lens camera with a zoom.